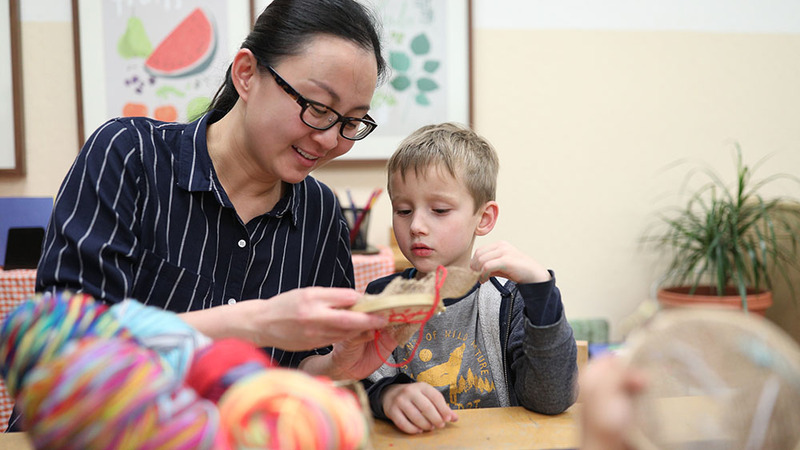 The most important consideration in deciding to set up a Montessori class is the teacher. A non-Montessori-trained teacher can no more be expected to teach “Montessori” than a biologist could be expected to teach French. Montessori teachers take a full time course that lasts up to 2 years. This course focuses soley on the young child.our core values align with yours? After many hours of reading, practicing, observing and discussion of Montessori Philosophy, the teacher is carefully tested to be sure she is ready to work with the child. She must demonstrate a complete understanding of the child and how to work with individual children. In looking at the results one must be sure they are judging a class run by a fully trained teacher. Using Montessori without this training will not have the same results. When the environment meets all of the needs of children they become – without any manipulation by the adult – physically healthy, mentally and psychologically fulfilled; extremely well-educated, and brimming over with joy and kindness toward each other. There are many classrooms and schools with the label “Montessori”. It is easy to set up a classroom and call it “Montessori”, but beware, be sure the staff has formal education from an accredited teaching institution.